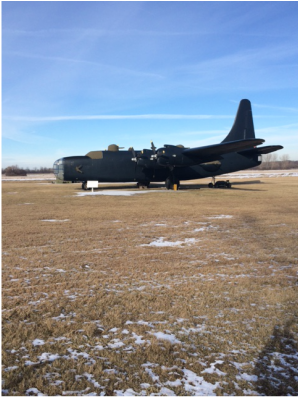 This week I happened to be in the Detroit area and decided to finally drop by the historic Willow Run airport near Ypsilanti. It was a late Wednesday afternoon so the museum was empty but for a few very friendly volunteers who staff the museum. Willy was one of the volunteers who graciously offered to give me a whirlwind tour since I couldn't stay for long. 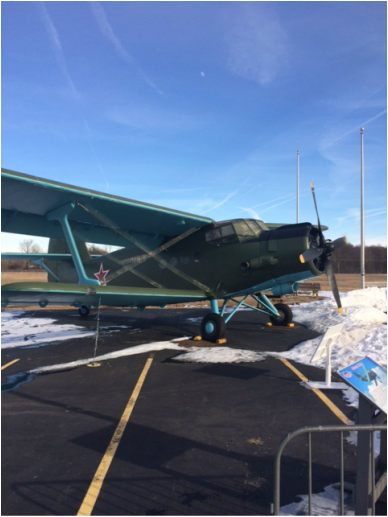 The museum has some nice aircraft both inside and out and of course, a fair bit of historical information about the B-24 Liberator (prints if you want to build your own) which were built at the Willow Run plant on the other side of the airfield. 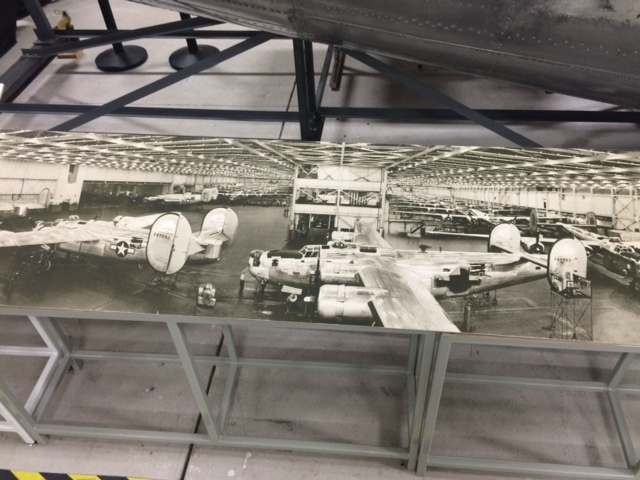 The photo below is located in front of a partial Liberator fuselage (sadly, the museum has yet to acquire a B-24 example for display but are actively looking) and depicts two parallel assembly lines of the B-24 final assembly line. You can see that the planes on the left had to make a right turn to exit the plant.The reason they didn't exit to the left was because of the enormous size of the plant which sat on the boundary of two townships-if the planes had exited on the left side they would have been subject to taxes from the other township so they only exited on one side to save thousands of dollars in municipal taxes! 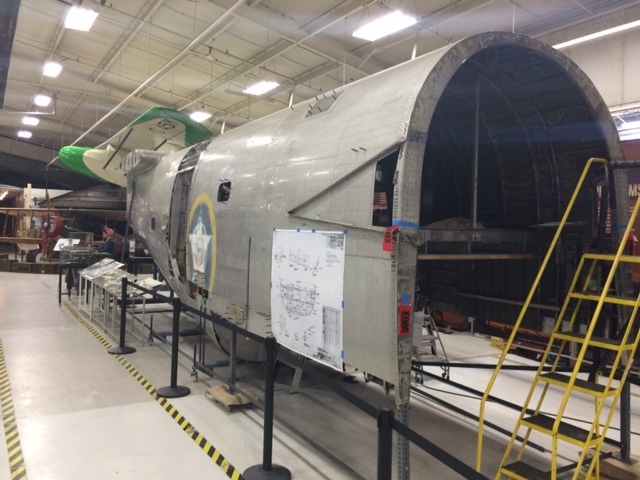 Partial fuselage of two B-24's put together. 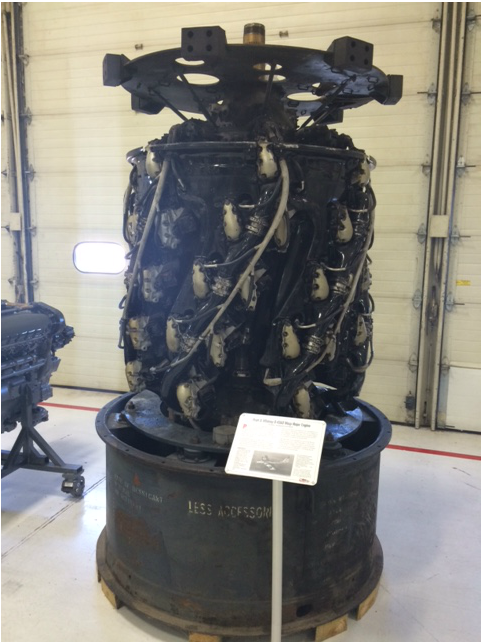 It's hard to see the size of this massive engine from the pic, but there were 6 of these on every B-36 and they still had to add four engines to get off the ground! 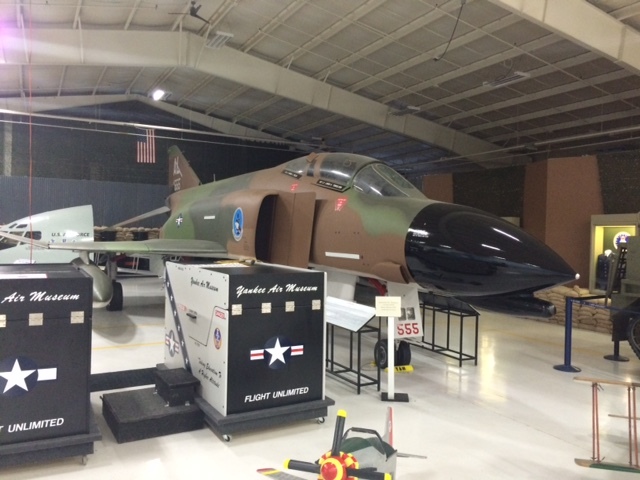 Classic Vietnam era jet,the F-4 on loan from the Air Force museum. This is actually a navy version painted in Air Force colours as it has a tailhook on the back. 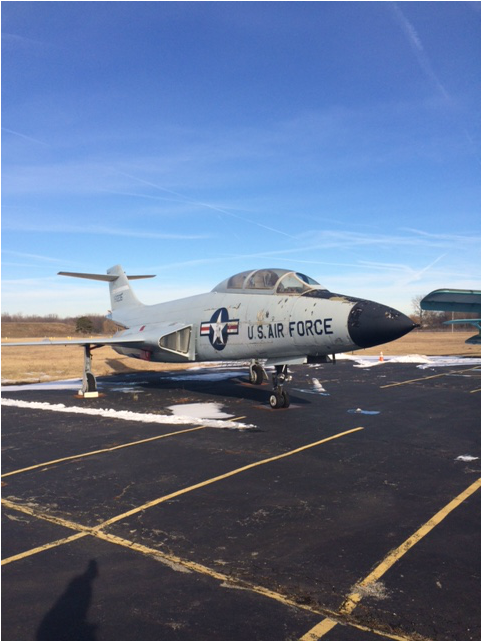 A later model F-84 with side air intakes so that they could mount a camera in the front for reconnaissance roles. 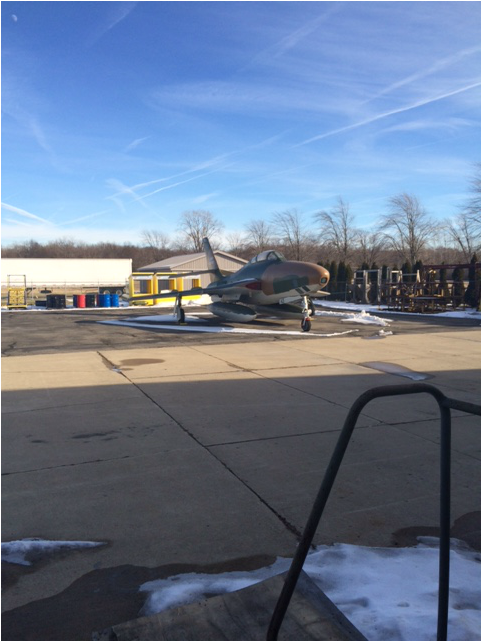 F-101 Voodoo parked in the parking lot. Too bad some museums don't have enough funds to properly maintain their fleet inside. Same plane from the front. The white building in the background was moved from the other side of the airport and was where crews for the B-24's were briefed. 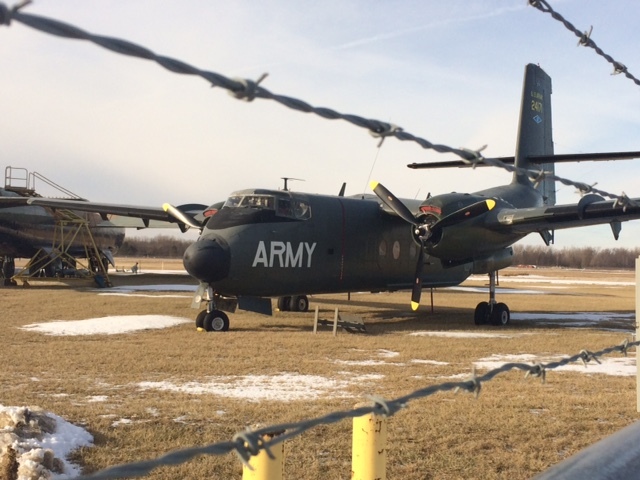 There are now plans to move it back again to the other side of the airport once again. Charles Lindbergh once spent the night in this building but would never have looked out the window to see a Voodoo parked in front. 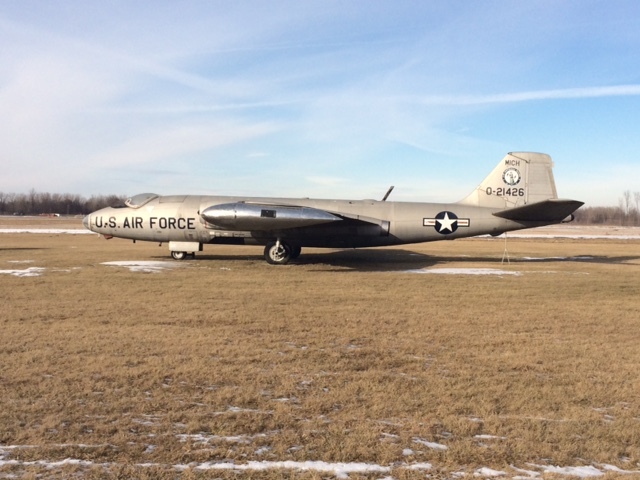 B-57 Canberra. 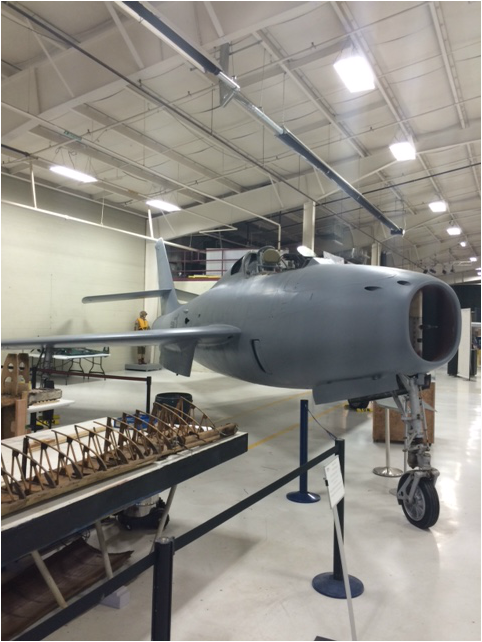 first US jet bomber to drop bombs in wartime. 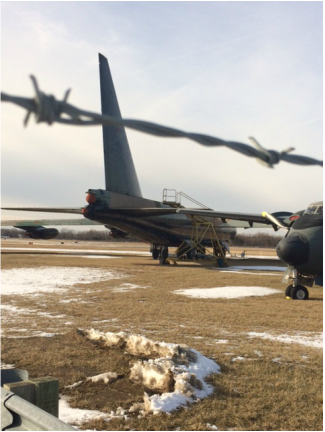 B-52 and Caribou behind fence waiting for the new museum to finish.